Rachel and I are taking the Bolt Bus down to Philadelphia to teach our Cupcake Business Class on Saturday April 17th. 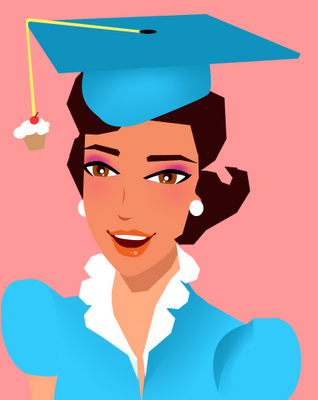 The Cupcake Business Class will focus on branding, building buzz and social media. We will have a local baker from the Philadelphia area to speak as well. The class will be at Independents Hall which is at 20 North 3rd Street and will last three hours. To make the class more interactive, please submit cupcake business questions prior to class. We may not have all the answers, but at least we can see what you are looking for and direct the discussion. Register now on our Cupcake Meetup page. Feel free to bring some of your own cupcake creations for the class to try. See you in Philly! I'm checking out orbitz prices now for a ticket to Philly! Im very interested in the next Cupcake Business Class.....when is it? I want IN!!!! Hi, I'm Renata from Brazil and I'd like to say cupcakes here are like top ten in modern culinary. But we hardly can find wraps or decoration stuffs for cupcakse and when we find them..they're very very expensive. So..,I'm trying to visit NYC soon and I'd like to know where I can find things for cupcakes there. I'm sorry if I'm asking stupid things and thank you so much. I love this blog!